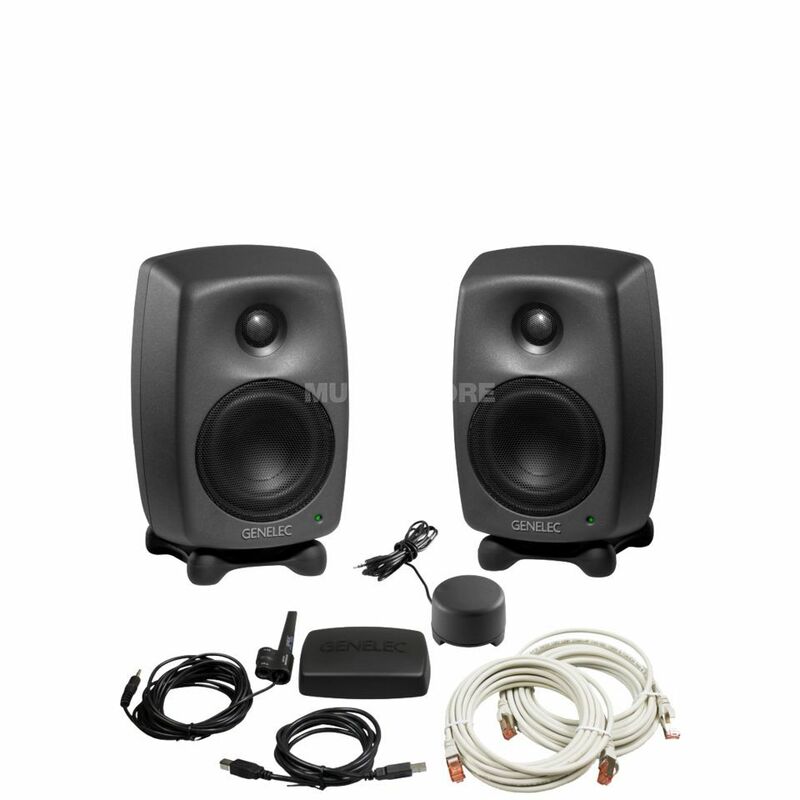 The Genelec 8330 APM-Pack Monitor Bundle Pack & Accessories include a pair of Genelec 8330 Active Near-Field Monitors, a Network Adapter, Measurement Microphone, USB Cable, Volume Control and Iso-Pod. The 8330s also ship with the GLM software which controls and automates room calibration. These monitors have 4 shelving filters and 16 parameters to tame even the worst of acoustic environments. Each sub-woofer delivers 50 Watts via the Class-D amplifiers and the low frequencies sound bigger than expected due to the Bass-Reflex channel. The rounded die-cast aluminium housing provides decent protection and improves positioning and spatial imaging.